Are you organizing a birthday bash? Let York Minibus drivers take care of all your transportation needs! We do our utmost to make our customers’ birthdays truly unforgettable, and we love having return clients. 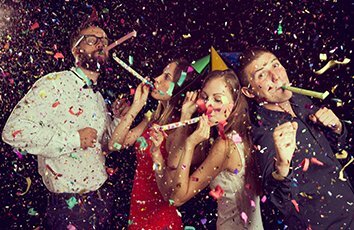 So, if you’d like to put together an unforgettable birthday bash, whether it’s your own or someone else’s that you care for, why not try our Birthdays Minibus York service? Get all your friends together for a birthday party they’re bound to love. Whether it’s Beyoncé dance classes, a day at the spa, an afternoon tea, a treasure hunt, a high ropes adventure, a boozy brunch, a wine-tasting experience or a good old-fashioned pub crawl, we have the perfect minibus to accommodate your entire party. It doesn’t need to be a night out. It can be a fun-filled day of adventure. The Birthdays Minibus York service comes with all the legroom you need, and if you need more space to accommodate your props and luggage, you could even hire a boot or a trailer. Go clay pigeon shooting, quad bike riding, can-can dancing, bowling and anything in between, all in one day. Travel from one event to the next in complete comfort and style when you book our Birthdays Minibus York service. Come as you are, however many you are, and we’ll see to it that you travel safely and cross every gig and shindig off your must-do list. Call York Minibus today, and let’s get the party started!